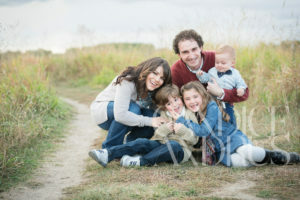 When not practicing medicine, Dr. Fineman is a family man, spending time with his beautiful wife (Elizabeth) and three wonderful children (Callie, Mason and Oliver) and their various assortments of animals, currently made up of two cats (Earny and Brodie) and their dog, Dixie. 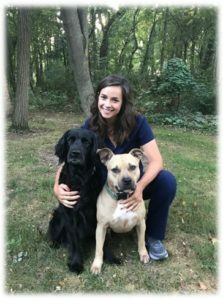 Dr. Kaylie is an Indiana native and graduate of Purdue University College of Veterinary Medicine. She recently relocated to the Treasure Valley area with her fiancé and fellow veterinarian, Dr. Kyle DeYoung. Dr. Kaylie enjoys spending time with her rescue pitbull, Ivy, Craigslist retriever, Layla, and dumpster kitten, Olive Tooster. She regularly practices yoga, has taken an interest in knitting and painting, and is always looking for a good place to hike. Professionally, Dr. Kaylie has an interest in dentistry and renal disease. Hilary Pasi will be joining the team at Paramount Animal Care in July 2018. 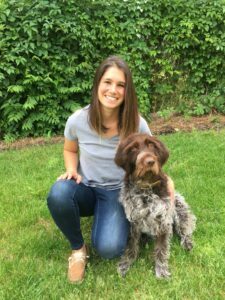 A graduate of the University of Illinois College of Veterinary Medicine, she earned her DVM in 2016. She practiced small animal medicine in Buffalo, New York for two years before moving to Boise. Hilary is originally from Chadds Ford, Pennsylvania. She attended Penn State University, where she earned a Bachelor of Science in Animal Sciences. Dr. Hilary’s veterinary interests include preventative medicine, soft tissue surgery, and dermatology. She enjoys cooking, kayaking, painting, running, and spending time outdoors with her dog, Clancy. She is very excited to be moving to the Boise area and exploring Idaho’s natural wonders.